．House lives in apartment 221B on Baker Street (according to Two Stories). This is similar to 221B Baker Street as seen in Holmes. 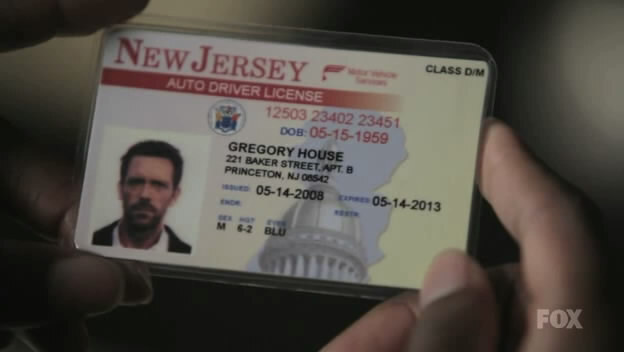 ．House's friend is Doctor James Wilson; Holmes' is Doctor John Watson. The name "Watson" was changed into "Wilson" in the novel Arsene Lupin contre Herlock Sholmès. 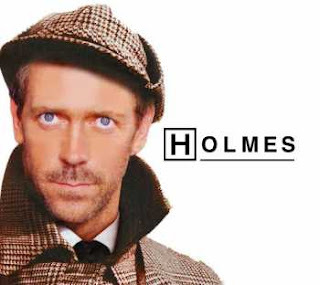 "House" is a synonym of "Home", which is a homophone of "Holmes"
．Both have drug issues - House with Vicodin, Holmes with cocaine, morphine and tobacco. ．House calls all his associates by their last names, the same with Holmes calling John Watson by his last name. ．Can deduce and diagnose a great deal just from looking at a person, as can Holmes. ．Both plays musical instruments - House electric guitar and piano, Holmes the violin - often to relax and think. ．The surname "Adler" used both for the female patient in the pilot, and for the female patient House supposedly fell for according to Wilson in "Joy to the World" (5.11) (Turns out Wilson is just yanking the chain of House's team). "Adler" is also the surname of The Woman, the female criminal who escaped Sherlock Holmes.